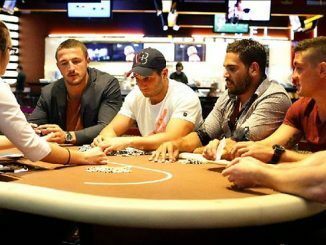 It was a long but eventful day in Sydney at the Star Poker Summer Series Main Event but after 12 hours of play the field has been reduced to just two tables. Having started the day with 99 players hoping to stake their claim for the $176,344 top prize, just 18 remained at the end of day two with the money bubble just around the corner (15 will be paid). 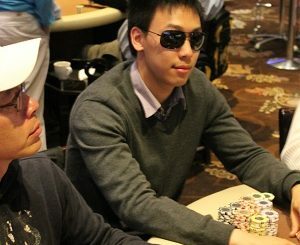 And while plenty of big names fell by the wayside – including overnight chip leader Benjamin Zhang – there are still a number of notables left with Daniel Neilson, Billy Argyros, Tam Truong, Andrew Scarf, Joel Feldman and Chad Awerbuch among those to progress to the final day. Very nearly joining them was Sydney Swans captain Adam Goodes who sat among the chip leaders for much of the day before slipping back and busting in 19th place in the final minute of the day. The big winners from day two were Ray Gebrael (pictured), who won a big pot from Neilson to become the first player to rocket past 500,000 late in the evening, and Tam Truong, who eliminated Zhang when he flopped trips and rivered quad queens in a massive race against A-K during the final level. 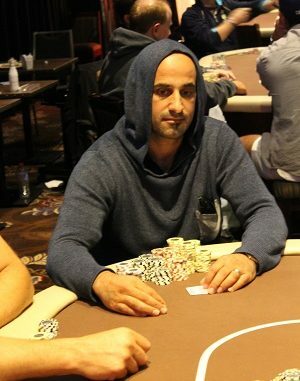 Gebrael returns with the chip lead and a great chance to, at the very least, push through to the final table. Given that we still have some work to do to get that far tomorrow, the 18 remaining players will return at 2pm with play to continue until we crown a new champion. The PMA live reporting team of Ben Blaschke, Chris Murphy and Sean Callander will again be on site to follow all the action.